Wood floors are not cheap. If you have decided to install wood floors, then you are surely aware of the importance regular scheduled cleaning is for their maintenance and appearance. Dirt, dander, and spills can wear down your wood floor's shine and strength. The tiny particles that exist in dirt and dander slowly but steadily scratch your floor while stains risk becoming permanent. UCM Cleaning Services' wood floor cleaning service not only creates shiny like new floors, we also restore your protective polyurethane layer, which is so important for stain and scratch prevention. We are not shy to say that we are amongst the top professionals in the home and office cleaning services. And we are positive that after using our wood floor cleaning service, your floor will be restored to its original fresh and natural appearance and its lifespan will be lengthened. You won't regret it. Your floor may just need a polish redo, that's simple enough. We also have many clients whose panels have come apart or warped, so applying a filler becomes necessary. No challenge there. You might have some rough patches that need sanding and evening out. We got it. 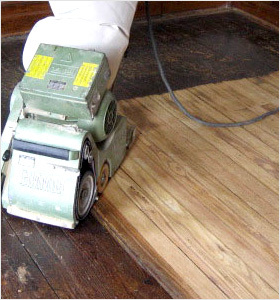 After sanding and fillers have been applied, we will also take care of the kind of sealing and finishing that makes your floors look brand new. Your specific wood species will determine the type of treatment used. For example, sometimes waxing is necessary, whereas other times only polishing needs to be done. Philadelphia Carpet Cleaning's professional team of consultants and technicians will examine your floor before the treatment begins to determine the best and most suitable treatment to guarantee your prized investment continues to prosper. Contact our customer service representatives today!